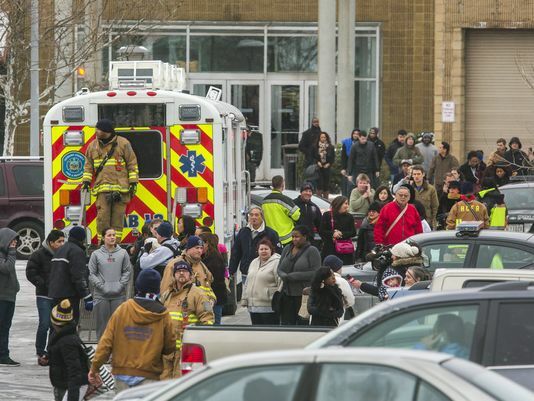 Two people have been shot dead at a shopping centre in Maryland. After the gunman opened fire, he apparently took his own life, police say. The incident took place at a mall in the Baltimore suburb of Columbia. The man opened fire at a store in the mall, killing a man and a woman, both employees at the shop, Zumiez, which sells skate accessories and clothing. Police have named the victims as 21-year-old Brianna Benlolo and 25-year-old Tyler Johnson. The man believed to be the shooter, who has not been identified, was found dead near a gun and ammunition. A further five people were injured in the incident. One of those injured was shot. Police said the motive for the attack was still uncear. Howard County Police Chief Bill McMahon said officers had concerns that the gunman might have been carrying explosives and had proceeded “with an abundance of caution”.